In the busy world of today it really is important to take a moment for yourself and not feel guilty about doing so. Beauty is a ritual for a reason because it keeps our mind and body healthy. If we re-charged ourselves as much as we do our phones then life would definitely be improved but I'm guessing not many of us do which is why Mintd Box are superb at lending a helping hand. "Your life becomes a masterpiece, once you master peace" - Mintd Box. Isn't this the truth? As someone who suffers with regular health issues, taking time out to pamper is sometimes my favourite kind of medicine that I will willingly take. Shutting off from the world can be essential at times and being your own no1 focus holds no shame. 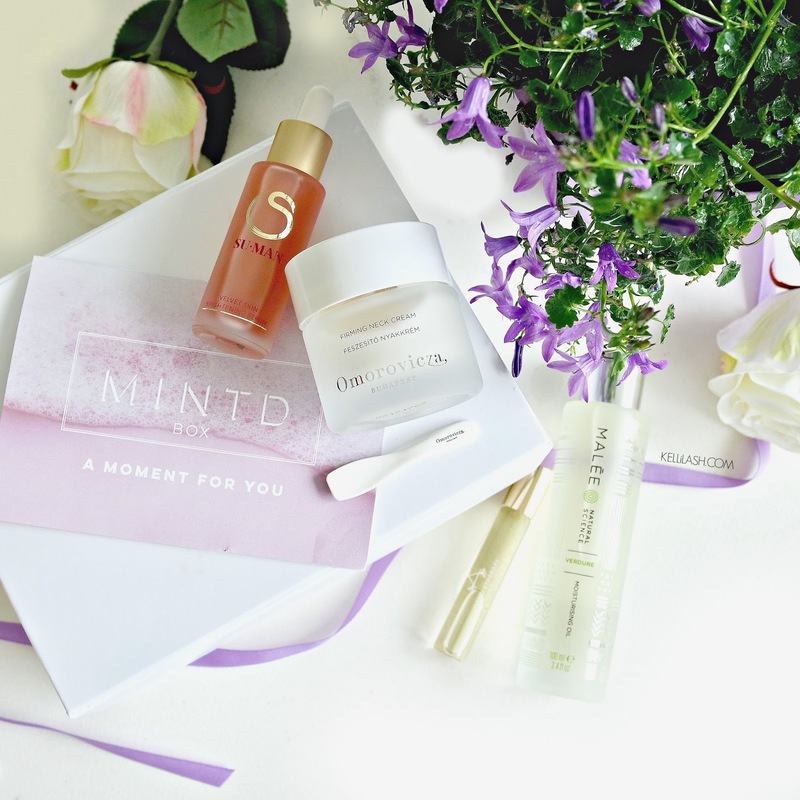 This month's beauty offering from the amazing Mintd Box is themed 'A Moment for You' as this month emphasises the health benefits of a good skincare routine to your physical, emotional and mental state. 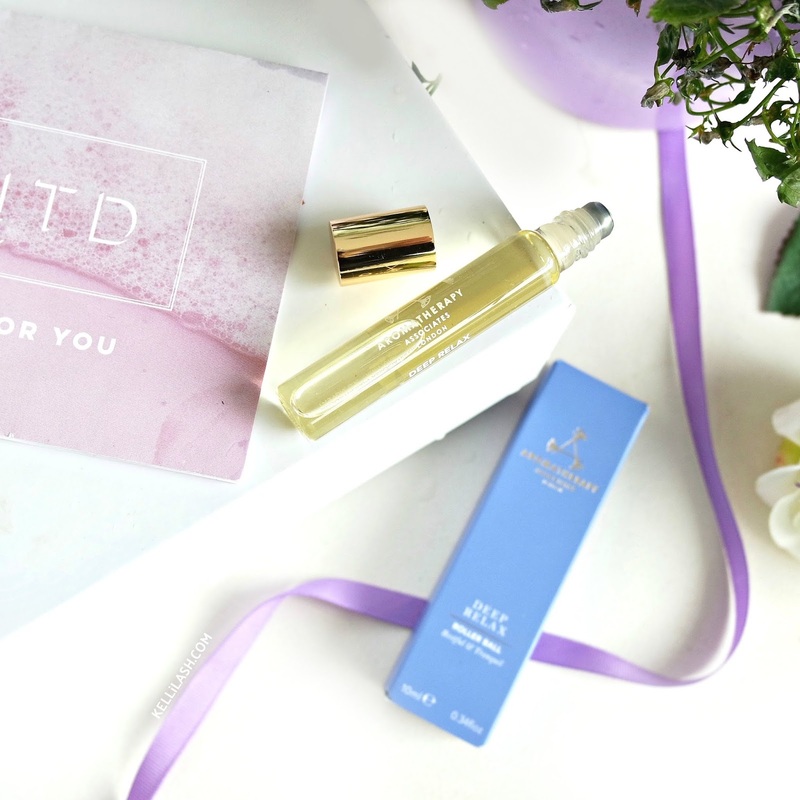 One thing you will clearly notice with Mintd Box is that they are all about Self-Care and Self-Love which is why they always deliver the best of the best. 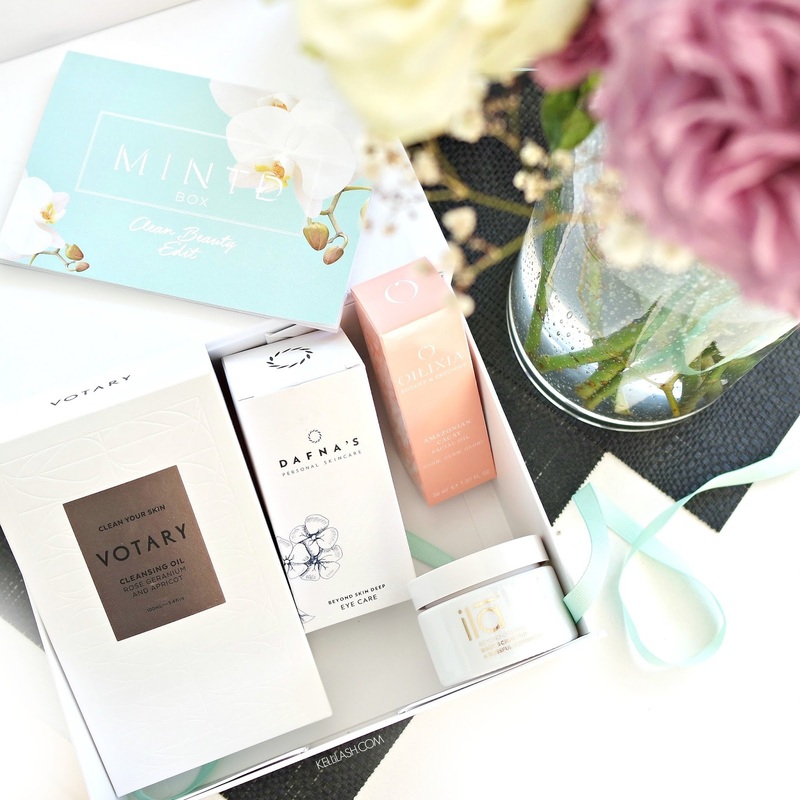 "When you subscribe to Mintd Box, either every month or every other month, you will only ever receive FULL sized or DELUXE sized high end, a-list, beauty products that are themed for that month which shall save you a small fortune. No Samples, no let downs, just the latest must haves in beauty. You can in fact click 'Mintd Boxes in the Categories section' in the header bar (top of page!) where you can see all the previous months boxes and their contents. It mainly features skincare as opposed to make-up but all is only ever 'high end and full size'. It isn't cheap but the products are premium and the savings are huge". 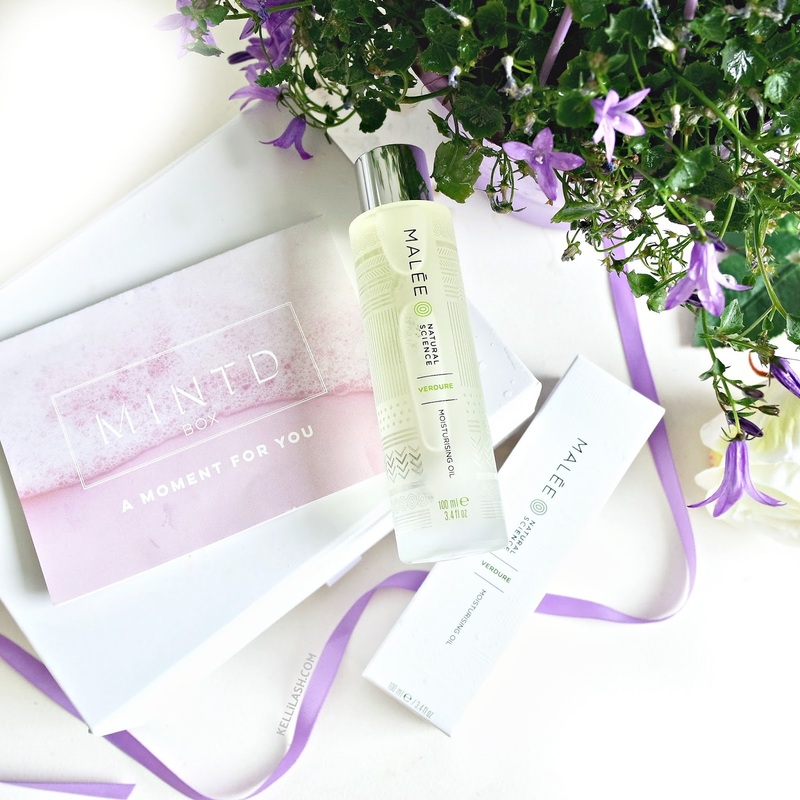 The April 'a Moment for You' themed box contains 4xFull sized products all exclusive to Mintd Box Subscribers and stocked in high end beauty stores such as Space NK, Harvey Nicols and Net A Porter. This month's beauty selection has been put together choosing products that are restorative and uplifting to make us all feel good. From a natural moisturising body oil that shall heal and nourish your skin, an anti-ageing skincare duo that will make visible improvements to your skin and a magical calming aromatherapy oil that work wonders to relax you. 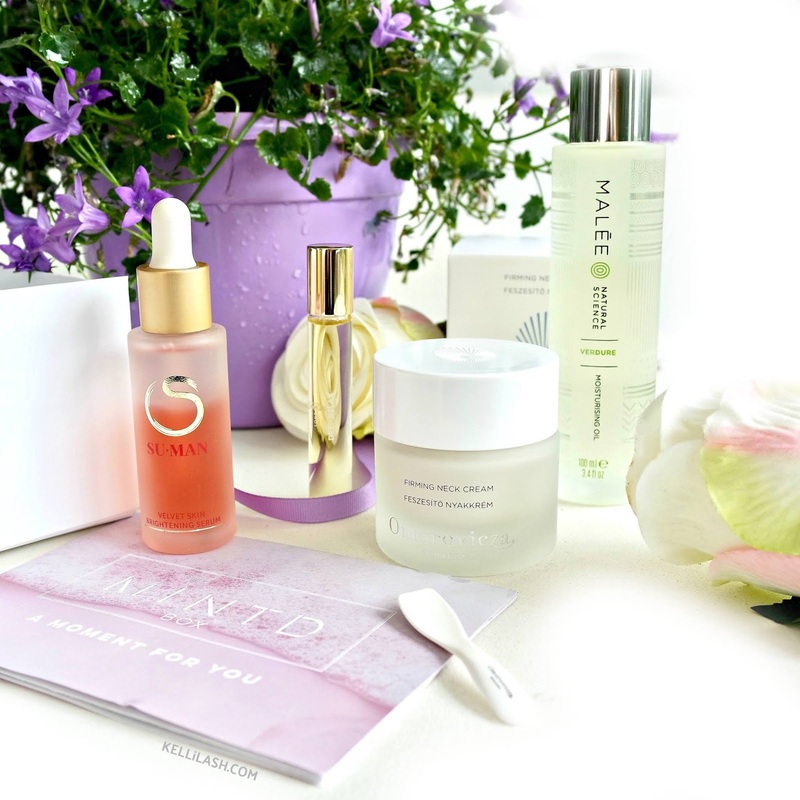 The power of skincare is all here! 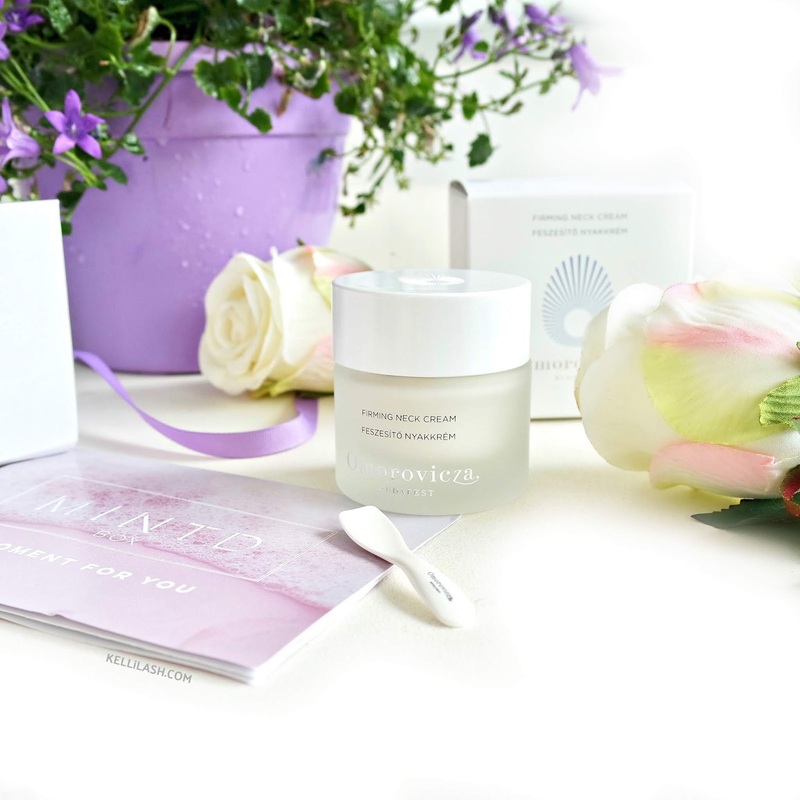 Receive a FREE Omorovicza Elemental Emulsion worth £85 when you sign up to 3, 6 or 12 month plans - (review here!). The contents of this box have a combined value of over £245/€283 for which you only pay £70/€80 per month or bi-monthly giving you an enormous £175/€202 saving as opposed to buying all products individually. This is exactly why Mintd Box are unbeatable!! They bring you the very best in high end beauty straight to your door month after month in the most cost effective way and £175 is a HUGE SAVING here!!!! A highly super charged cream that targets the area we neglect the most, the neck and décolleté. This helps to repair and replenish dry, crepey skin with its intensive blend of firming and elasticising extracts. The skin is much thinner on the neck and with no oil glands to keep it hydrated, so it needs more care and attention as lines, wrinkles, creases and sagging shall only set in further the more we age. White truffle enzymes help to strengthen and improve the skin along with their signature Edelweiss flowers that shall resurface and soften the look of any imperfection. Polysaccharides and proteins offer a ‘lifting’ effect whilst hyaluronic acid works to plump and re-densify delicate skin. A mighty cream by the sounds of it! When I worked for La Prairie as a facialist, I must have been asked at least once a day about neck creams because as we all age we notice it on our neck and reversing age and damage isn't easy so by doing what we can in advance definitely helps and a good neck cream is hard to find which is why this one is a great find. A mighty power house in a jar that feels so nourishing on the skin. The texture is nice and lightweight and absorbs well so you can dress without worry. The skin on my neck is not that bad as I have always kept my neck and décolleté moisturised, worn spf and keep it covered most of the time (I learnt this early!) 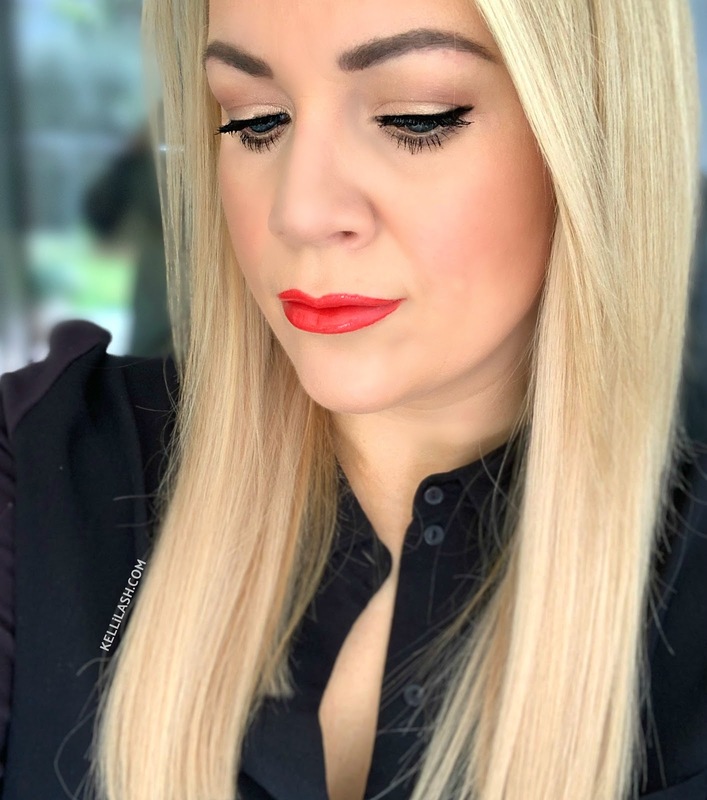 but I do have visible creasing so I am keen to see how this cream performs when I have used it more but even after a few uses I have to say that my neck looks brighter and feels a lot smoother. I have high hopes here as Omorovicza is such an amazing anti-aging skincare brand as their products are some of the best I have used. This cream alone is £95 which again is more than the cost of this whole box so there really is no better way to get your hands on this for less - plus you have the bonus of three other skincare gems! Ok, so just think liquid rose petals for the skin and there you have this next product. 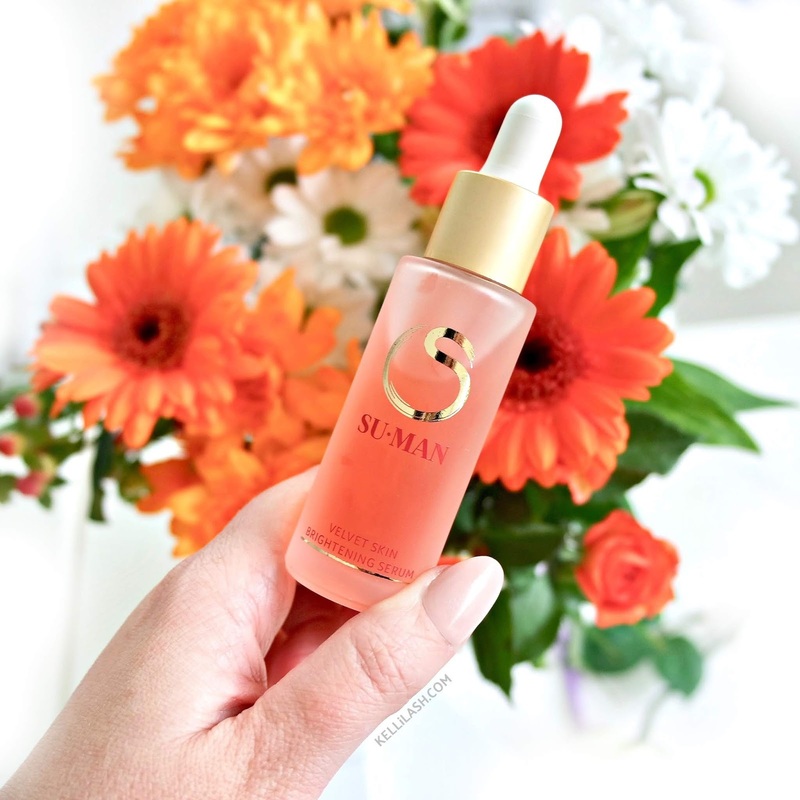 This is unique velvet like serum that aims to deliver a boost of radiance, comfort and softness with Celebrity Facialist, Su-man's signature blend of antioxidants, hyaluronic acid, omegas, ceramides and dragons blood extract. This special blend invigorates and diminishes the appearance of dark spots, fine lines and wrinkles and is a very high tech anti ageing elixir for firmer, brighter looking skin that feels like new. All I can think of is 'Death becomes her and the magic potion" - anyone else remember?! I am ecstatic to have this serum in my possession as I have used this amazing serum before and it's absolutely incredible. 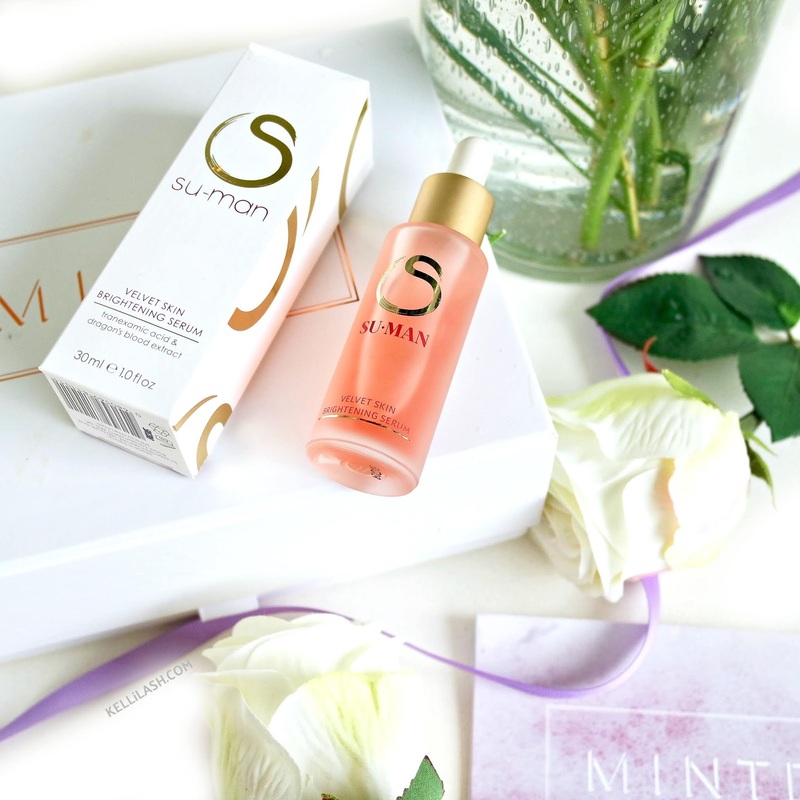 I love Su-Man skincare because as a working Facialist she knows what works and her passion for skin is addictive! By far one of the most luxurious serums I have ever used (and there have been many) as this really does feel like liquid velvet on the skin and even after only a few uses, I see and feel all of it's benefits. There is no stickiness, no heaviness, just a silky texture that absorbs fast and smells softly of rose. You have to shake the serum before use in order to activate all of it's ingredients which is so pleasing. Real results are instant and speak for themselves to which I can honestly say any serum fan or non serum fan for that fact, will love this. It is on the expensive side at £95 I know, which is exactly why Mintd Box is offering such an amazing deal here as you are paying less for the whole box - Do not mss out!! 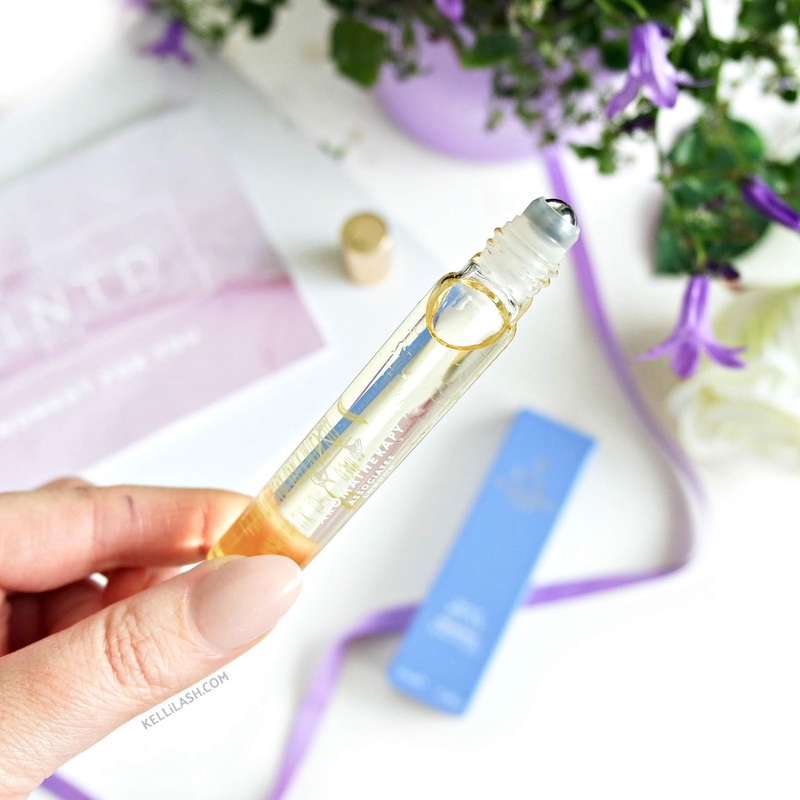 This is your on-the-go roller ball relaxation tool that works with the powers of Vetivert, Camomile and Sandalwood to ease any stressed, tired mind. It fits into your bag super easily so you can always have it with you, hence always be relaxed - hopefully! Again excitement was high seeing another Aromatherapy Associates product inside this months box because they are one of my favourite aromatherapy ranges because they really do work. 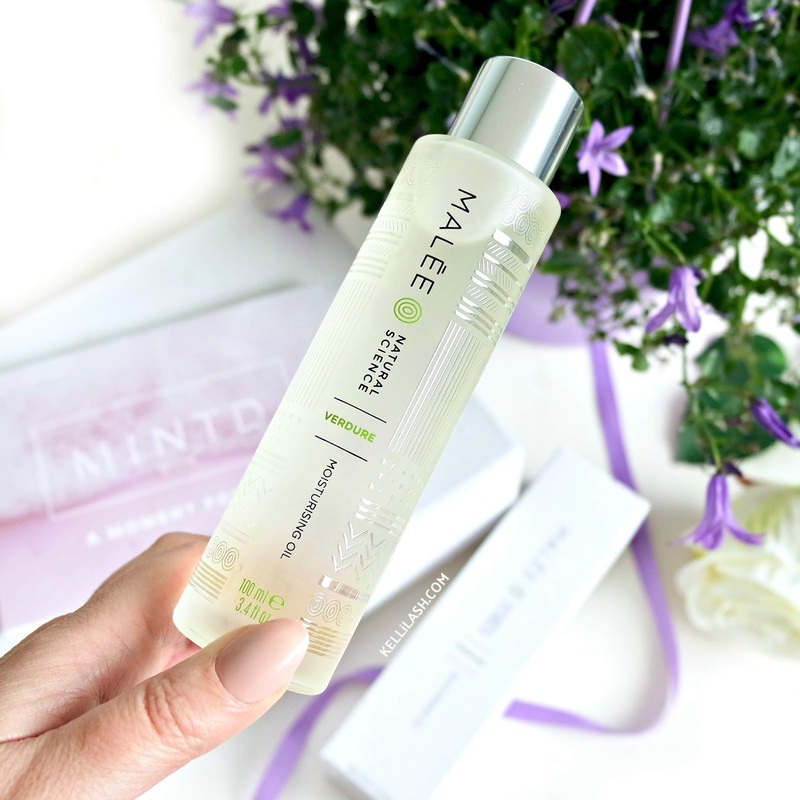 I have used the De-Stress Muscle Bath oil for years now because the scent of this particular oil is divine but I find it the most potent and most effective from the whole range. I keep this oil in my make-up bag so I have it to hand whenever the time calls for it. This is great to keep in your bag should you feel anxious and need some help in keeping calm and nervous flyers can take it in hand luggage to help calm any nerves or need a little help to relax as I personally never can on flights! this really is a luxury that you will find comes in great use. A multi-purpose moisturising body oil that is lightweight yet highly nourishing and luxurious, transforming dry skin, hair and nails. It was inspired by Africas wetlands and envelops a forest fresh green fragrance with notes of Citrus, Mint and Patchouli to help uplift and warm. It uses a blend of Sweet Almond, Coconut and Argan oil making it rich in vitamins, fatty acids and moisture. It can be used in the bath or directly onto skin - the choice is yours. This was by far the surprise of the box. With any selection of beauty items, we all do that thing where we go for the main brands we know then leave one til last and turns out this is actually one of my favourite items from the whole box - and the competition was strong let's face it! I have only recently got into body oils as I used to hate oil on my skin and this is my new dream body oil. The scent is out of this world with a real hit of citrus and mint which then develops into a lovely warm patchouli scent as it warms to your body. It is truly unique and unlike anything I have used before. The oil itself absorbs so effortlessly into your skin and the dropper application makes sure you don't drown in oil and get too much. There is no greasy residue so you can dress immediately after applying it yet just leaves your skin feeling really moisturised, soft and smelling amazing. This is perfect should you want to liven up a tan, or your fake tan needs a boost as this oil transforms skin making it look brighter, healthy and radiant. You could even add in a few drops of liquid highlighter to give your body a real shimmer effect should you want to bare some flesh! I even looked to purchase a back up, that's just how much I love this product. You won't find many moments for you as luxe as this, all boxed up and ready to go - and with such a huge saving too! My word, this box is a dream. 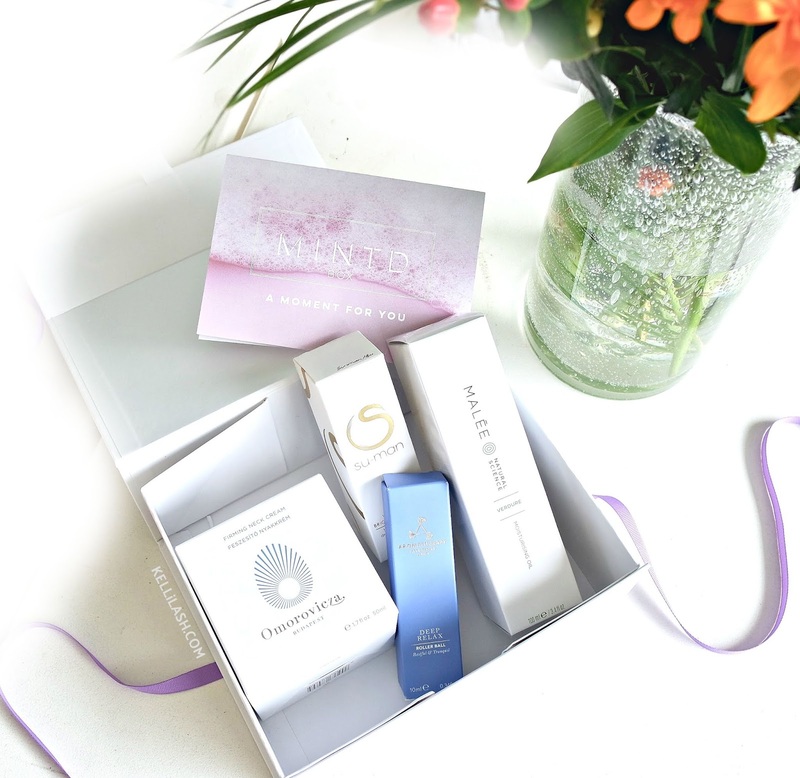 Your skin will not know what has hit it after this lovely lot has been let loose and the stars of this box for me have to be the amazing Su-Man Brightening Serum as I am so happy to have it back in my life, Malee Body Oil because it is body oil goals and Omorovicza is a star in any box. 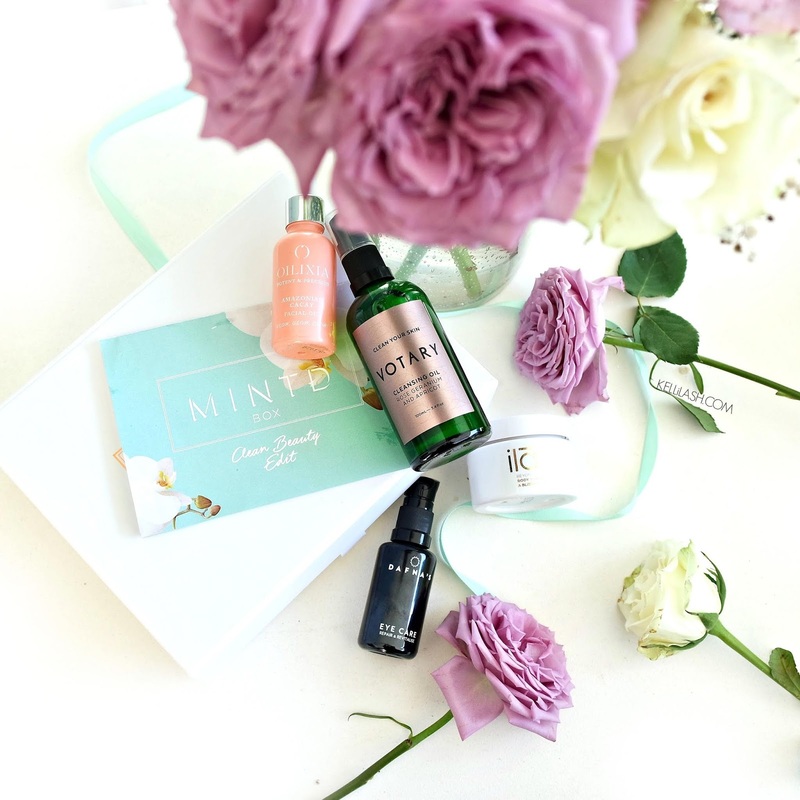 I know many of you love these reviews and I just hope that if you are yet to try out Mintd Box for yourself then this post makes you bite the bullet to do so because the value for money and the standard of product is just unbeatable which makes my job a joy to be able to say so and recommend them whole heartedly as I do. Can I suggest you sign up asap because having inside info, you don't miss out on next month either!! This box is worth a massive over £245/€283 for which you only pay £70/€80 per month or bi-monthly giving you a massive £175/€202 saving!! I think this may be one of the biggest yet! 🌎Don't forget! 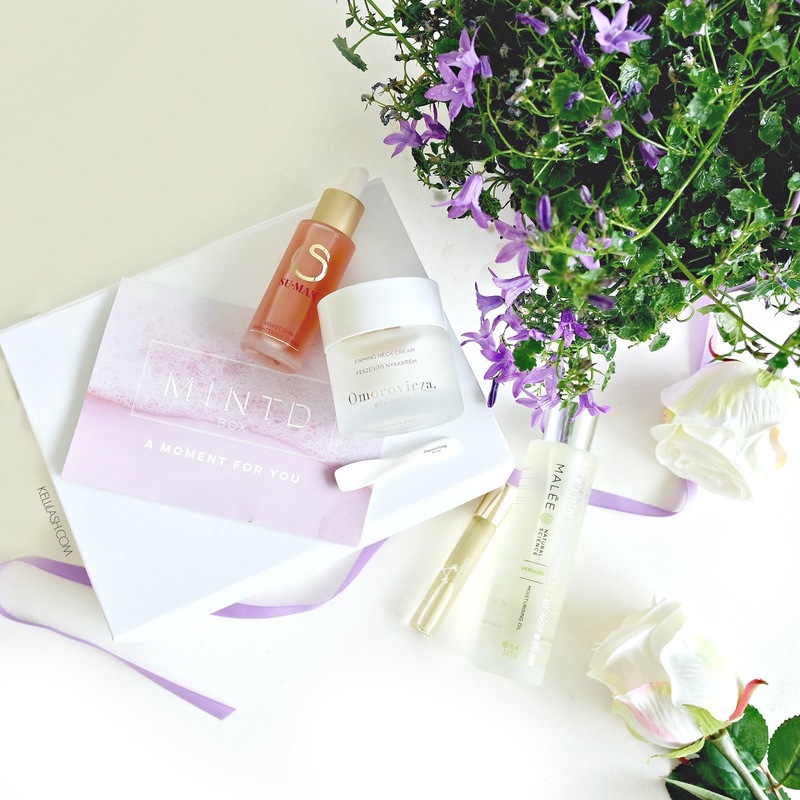 - Mintd ships to UK, US, W Europe, North America and Australia (+ you get a FREE Omorovicza Elemental Emulsion if you sign up to a 3, 6 or 12 month plan and a FREE Omorovicza Lip Balm when you spend over £100 in the Gift store!). 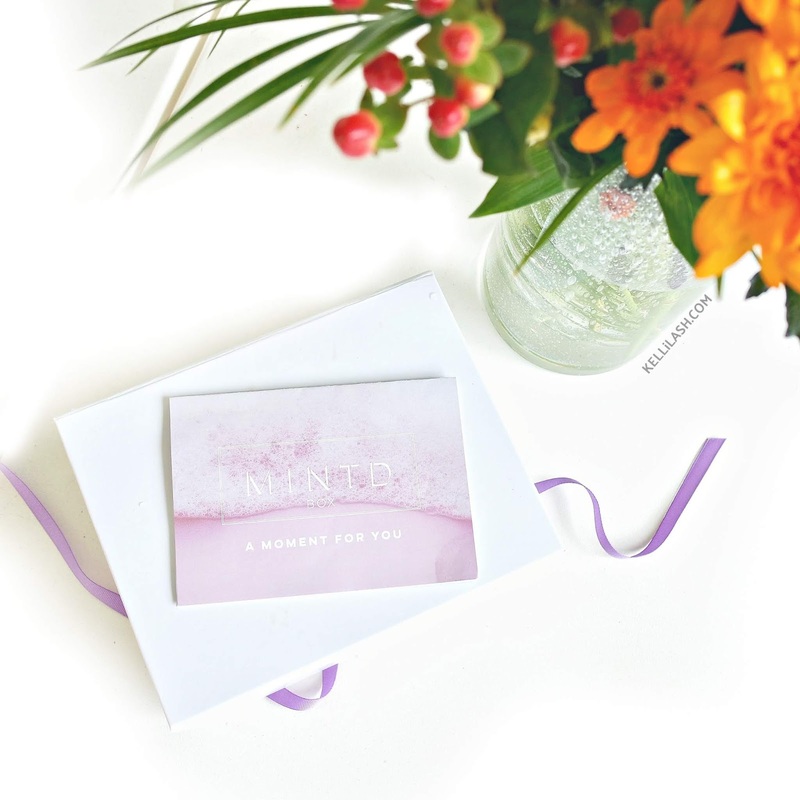 Sign up to Mintd Box here and get free delivery in the UK! What do you think about this month? Whenever ByTerry host a new launch I know it is gong to be good because for me, they epitomise everything that is French Beauty. Classy, elegant, fun and always très chic. 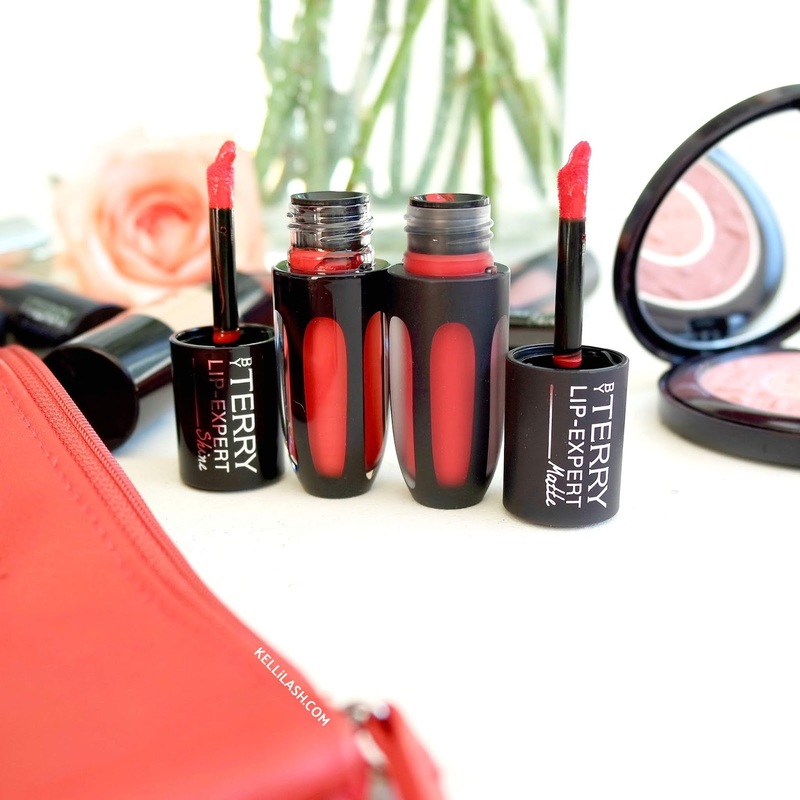 I am a big fan of the brand in case you had not realised as a lot of my make-up collection is made up from ByTerry. 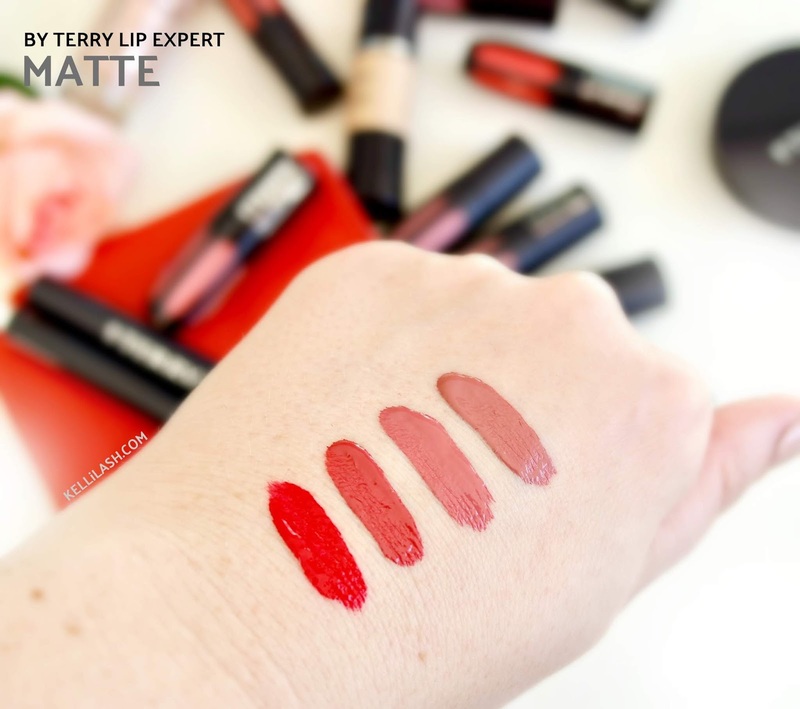 Combined with what is my favourite make-up item to buy, lipsticks, this really is a dream launch for me hence I was bursting at the seams to have received this delivery from ByTerry HQ so that I could bring you more details on this amazing new lip line. 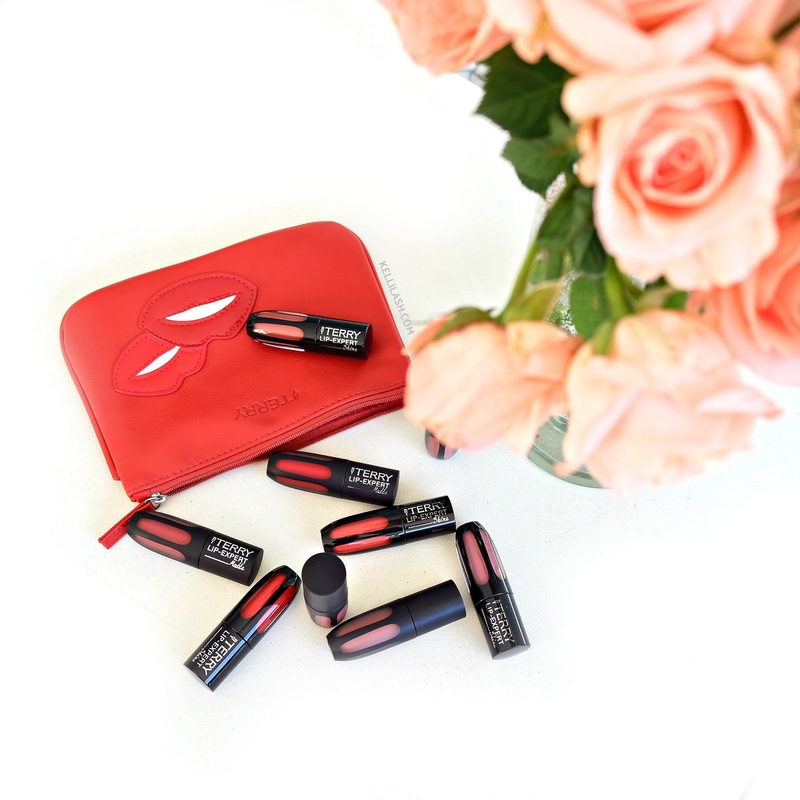 In short, the NEW Lip Expert line consists of a new range of liquid lipsticks in both gloss and matte finishes that have been designed to give your lips intense colour with rich pigment in just one coat. This lip line was based on Parisian Style, with a glamorous "Haute Coleur' statement look. They are enriched with premium ingredients and the formula aims to give a flawless, comfortable, all day vibrant wear that is kiss proof. The vinyl glosses keep your lips hydrated and give incredible shine for radiant lips where the mattes offer comfortable all day wear! It was love at first sight for me. The classic ByTerry packaging oozes style and sophistication and they are very cute and compact in size. I love that the matte shades come in a matte tube and the glosses in a shiny tube - definitely helps when you want to grab one quickly! The doe foot applicator is the perfect size and fits perfectly with the contours of your lip making this very easy to apply. I was kindly sent over a mix of shades that are very me; nudes, corals and of course reds. There are in fact 16 matte shades and 16 shine shades available in the line! If you are after a mirror shine finish then these are for you! Silky, smooth and very shiny. 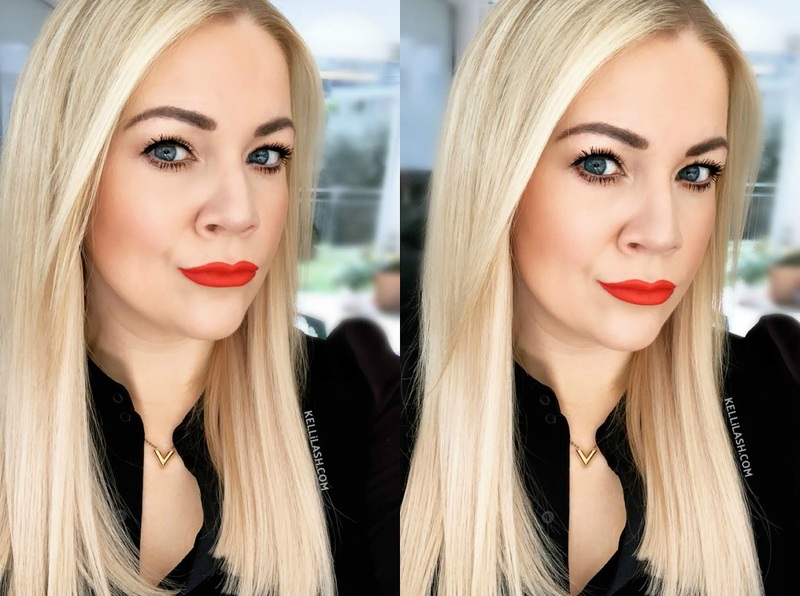 This gloss shall aim to give you full cover in one swoop and it really does, although like me, you may want to layer up the brighter shades just to make sure you get that even coverage. They glide on with ease whilst drying down to an instant vinyl finish that shall keep your lips hydrated with Vitamin E and make your lips look nice and plumped. 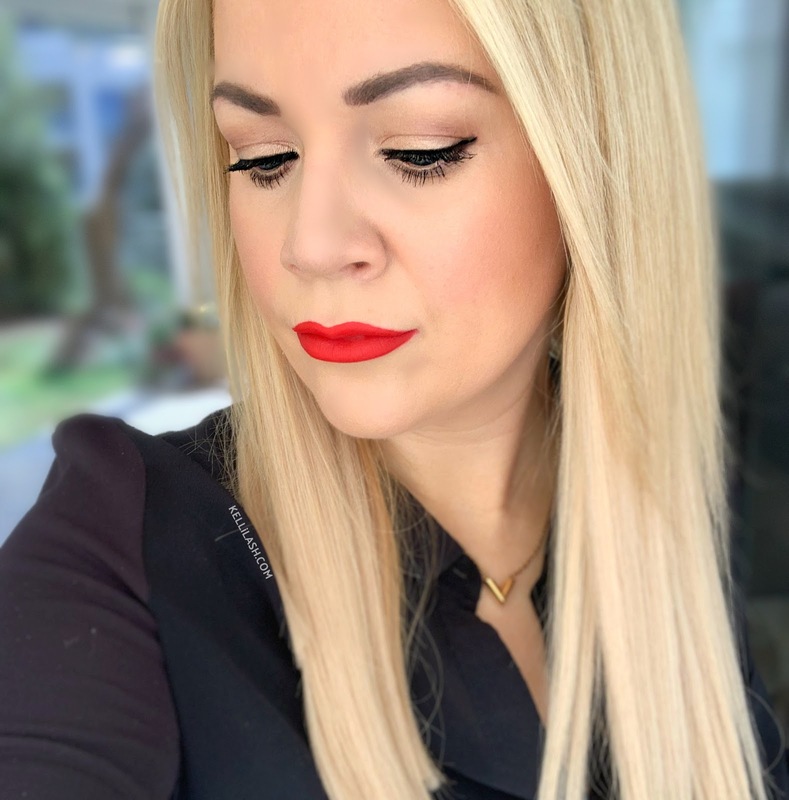 Here I have 5 out of the available 16 shades (below) ... and you can see me wearing shade 15 Red Shot Shine as I wanted to show the two red finishes together for you. If you want long wearing, super intense pigment and seamless in application then these are for you! 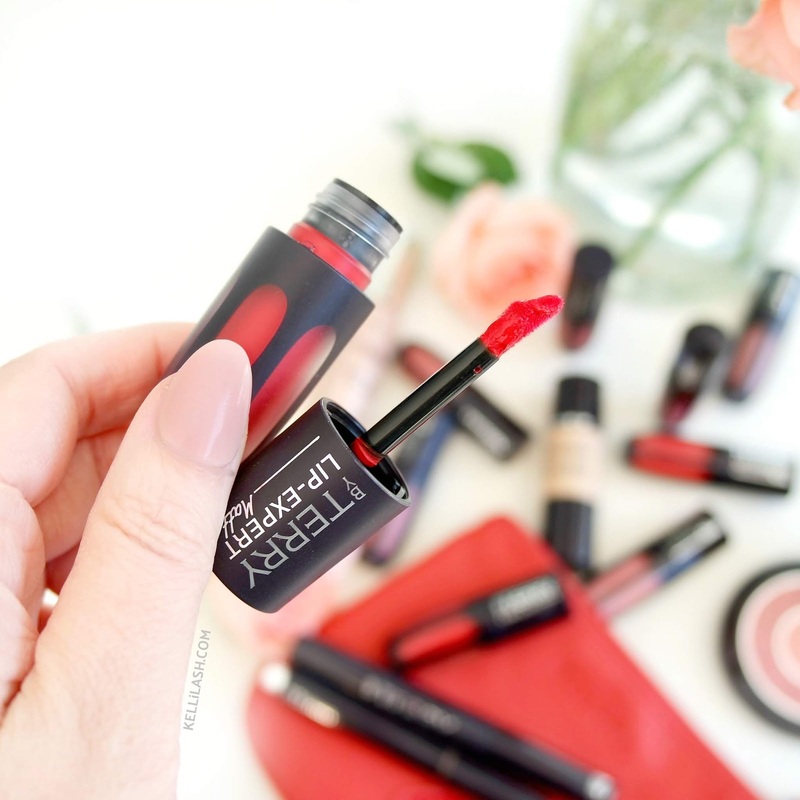 Whether you wear a natural or bold shade the non-sticky formula applies flawlessly and wont feel tight or dry at all. I have to say this is one of there best formulated matte lipsticks I have worn to date. Here I have 4 out of the available 16 shades (stated below) ... and you can see me wearing Shade 9 Red Carpet Matte. 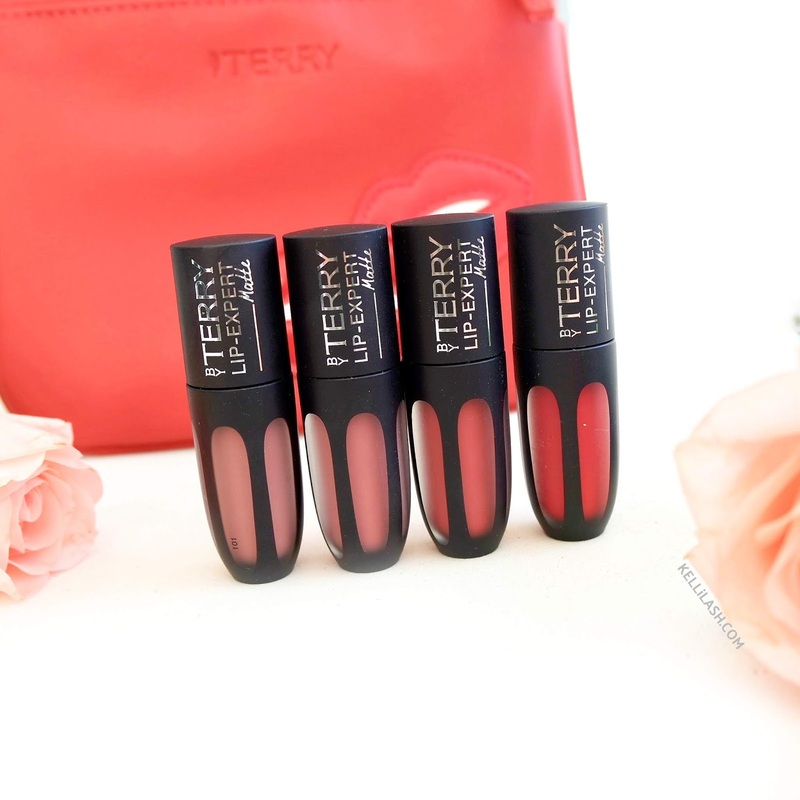 These lipsticks have the gorgeous trademark ByTerry rose scent that I adore the applicator really works wonders for this product. 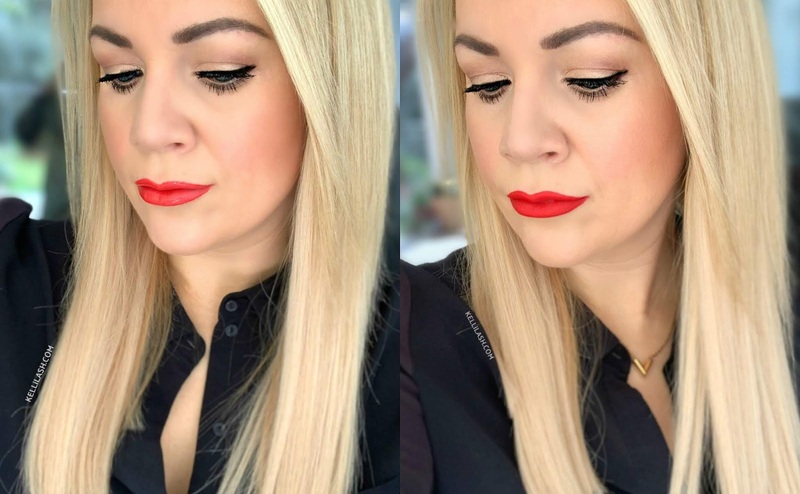 Both finishes are effortless and flawless, to the point where I have solely applied these reds from the applicator alone with no lip liner used whatsoever! This is how cleverly designed the wand is because it shapes and guides the colour to your lips making them super easy to work with. Those who are a bit scared of colour or liquid lipsticks in general will 100% be able to get on board with these; ByTerry have nailed it here. As you can maybe tell, Red Carpet matte is my favourite; giving me all the Marilyn vibes! C'est Magnifique! They are 100% worth the price tag should you be looking for an amazing (not just great) liquid lipstick. Here you have luxury liquid lipsticks at there very best and my new favourite matte formula to date. These finishes will work for any season being as there are so many shades to choose from. You can even layer the gloss over the matte should you want the intensity of both finishes and the shade combinations are endless. I love that they have a great shade range from nudes, dusky pinks, deep purples to bright reds ... so everyone shall find a shade that they love. Stay tuned to my Instagram page to see the other shades in action or just let me know any you what to see worn! 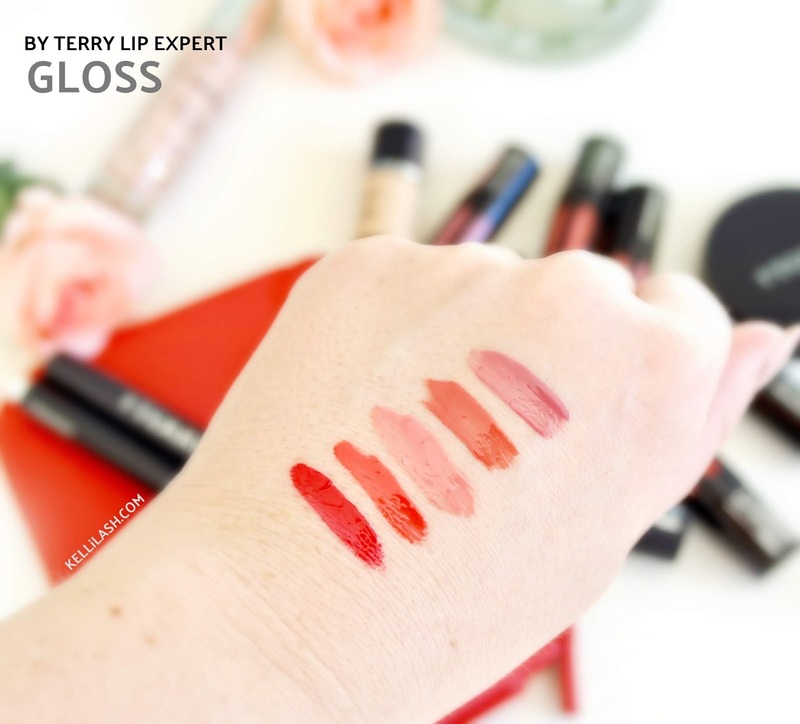 You can buy the New ByTerry Lip-Expert online here and you can also read more ByTerry reviews here! Gone are the days when natural beauty products were boring, had no real luxury feel about them and smelt quite funky. Those days are long gone and opting for natural, clean ingredients instead of chemical is no longer a compromise. As part of my job I obviously test out a lot of brands whether they are natural or not and for me I really don't mind because if it works well and my skin loves it, I'm all in. But just like our eating habits, today we all want choice; vegan, vegetarian, gluten free, dairy free, meat free and so on .... the good thing is that options are there and it is the same with skincare. You may be sensitive to certain ingredients or you may just want to live cleaner or you may just simply fall in love with a product regardless! Whatever the reason, we are very lucky to have to it all at our fingertips. 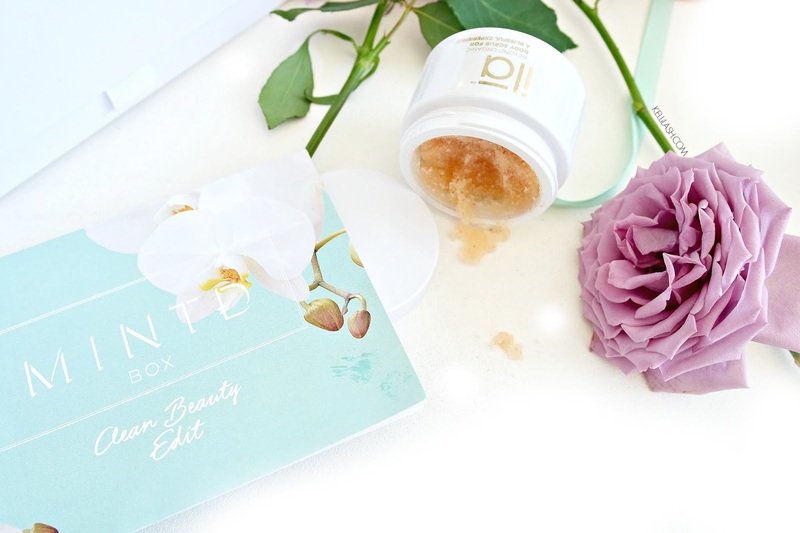 If you like your beauty products to be free from synthetic ingredients, additives, toxins and all nasties and seek a more natural feel then you'll surely love the products within this post. Plus, if you are looking for the ultimate Mothers Day Gift that will well and truly spoil the mother in question, I have it right here. 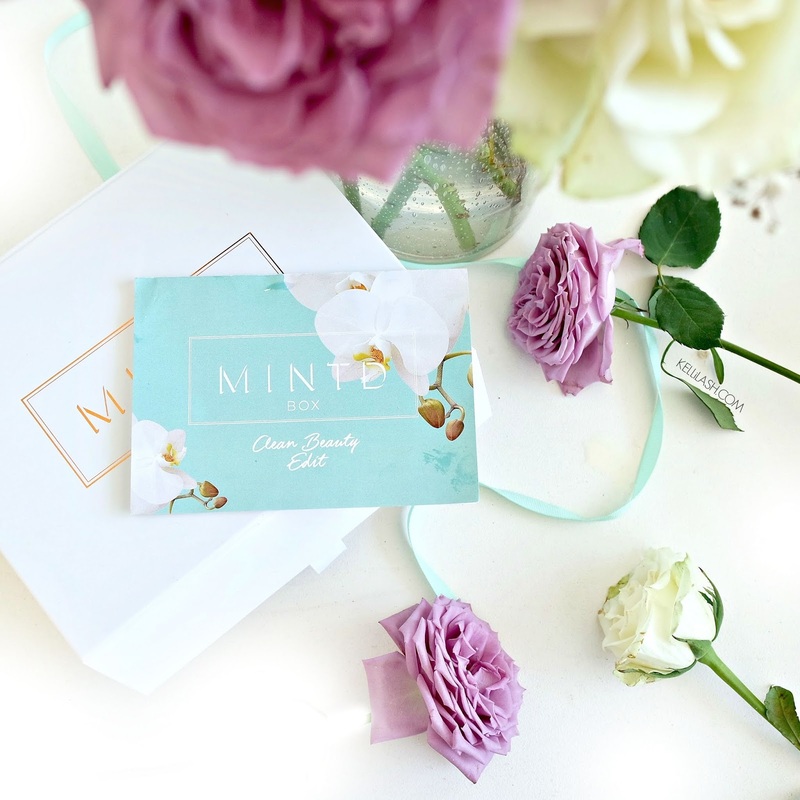 The wonderful team at Mintd Box have put together this months March box entitled, Clean Beauty Edit. This theme is all about matching what goodness you consume on the inside, to the outside too. All products here are transparent with no hidden ingredients and everything inside listed for you to see. 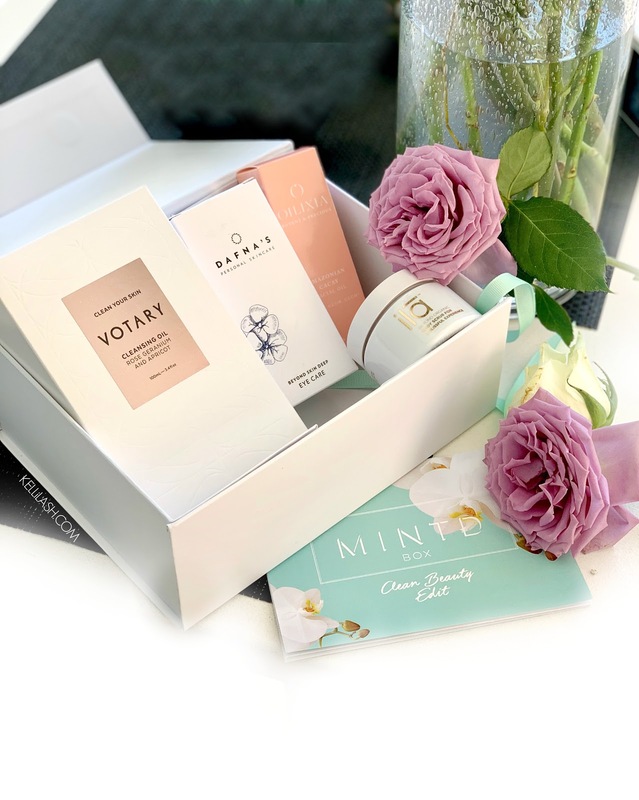 The March 'Clean Beauty Edit' themed box contains 4xFull & 1xDeluxe sized products all exclusive to Mintd Box Subscribers and stocked in high end beauty stores such as Space NK, Harvey Nicols and Net A Porter. The contents of this box have a combined value of over £153/€174 for which you only pay £70/€80 per month or bi-monthly giving you an enormous £83/€95 saving as opposed to buying all products individually. This is exactly why Mintd Box are unbeatable. They bring you the very best in high end beauty straight to your door month after month in the most cost effective way. 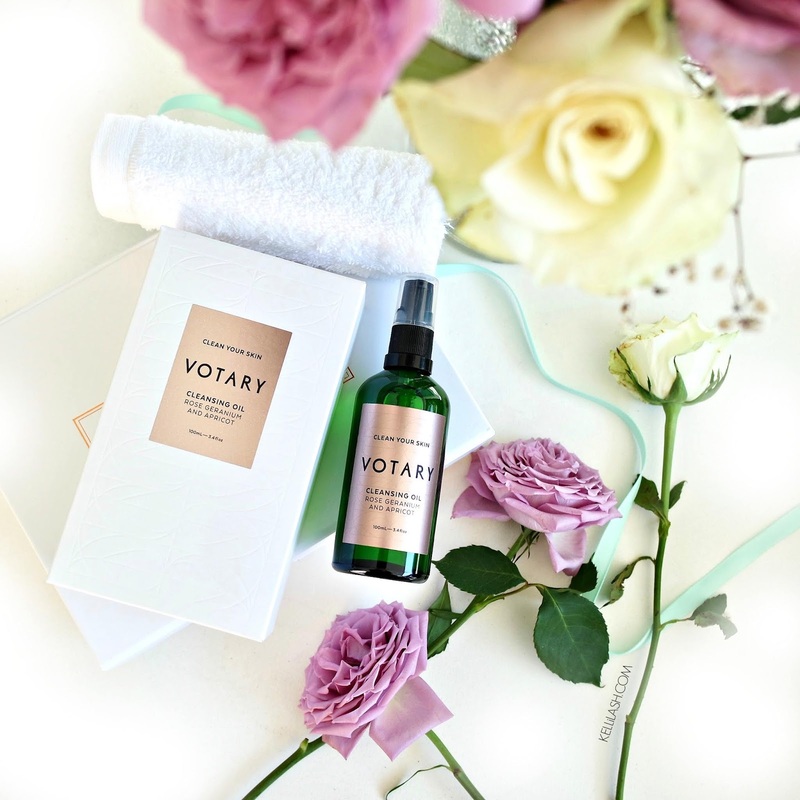 Sidenote: As soon as I saw that Votary London Cleansing Oil was included in this months box, I knew it would be an instant hit as this has been on my wish list for some time now having fallen head over heels in love with their facial oils ..... so this was the item I tried out first! 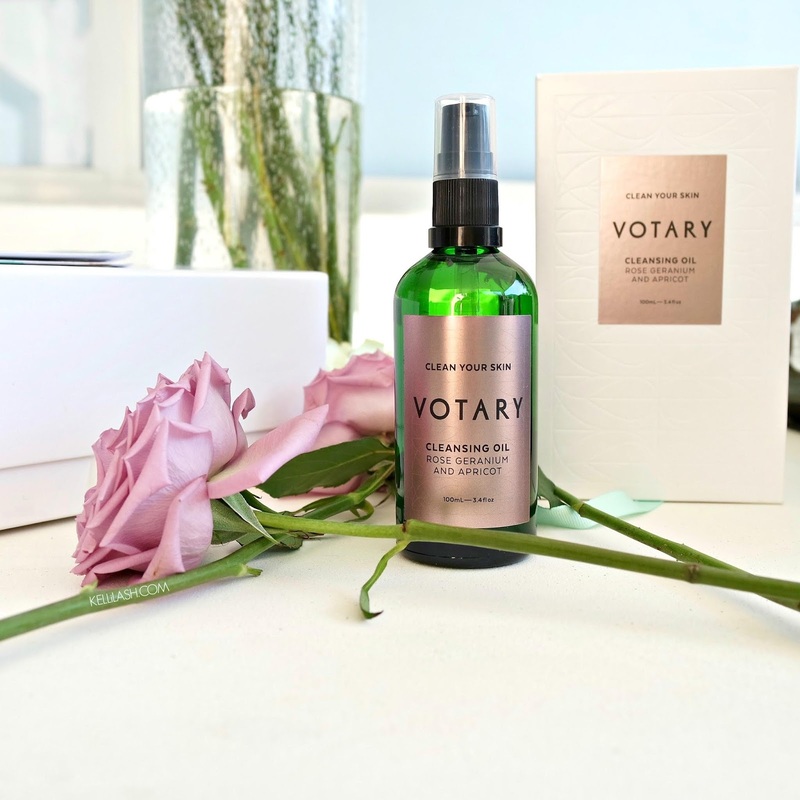 Votary London creates the most luxurious premium plant oils that deliver amazing anti-aging benefits without sitting on top of the skin like a lot of mineral oils can. This Cleansing Oil is cult to the brand and is made from 100% natural apricot and jojoba oils suitable for all skin types with a stunning rose geranium and chamomile fragrance. It comes with a wash cloth and breaks down make-up, removes sunscreens and cleanses the skin with little effort, and all without stripping the skin of hydration. This has 100% lived up to the hype and was even better than I knew it would be. The scent is the first thing to grab you which is heaven! This alone has a lovely calming effect which makes it an ideal 'evening' cleanser. I love oil cleansers and this is very different to others I have by the fact that it doesn't turn into a milk when you add water and instead stays as an oil which is why it has been designed to be used with the face cloth included so you get the maximum benefit that this oil has to offer your skin. It left my skin feeling soft, smooth and perfectly cleansed without any tight feeling. This really does look after your skin and will be an oil that I would most certainly re-purchase. 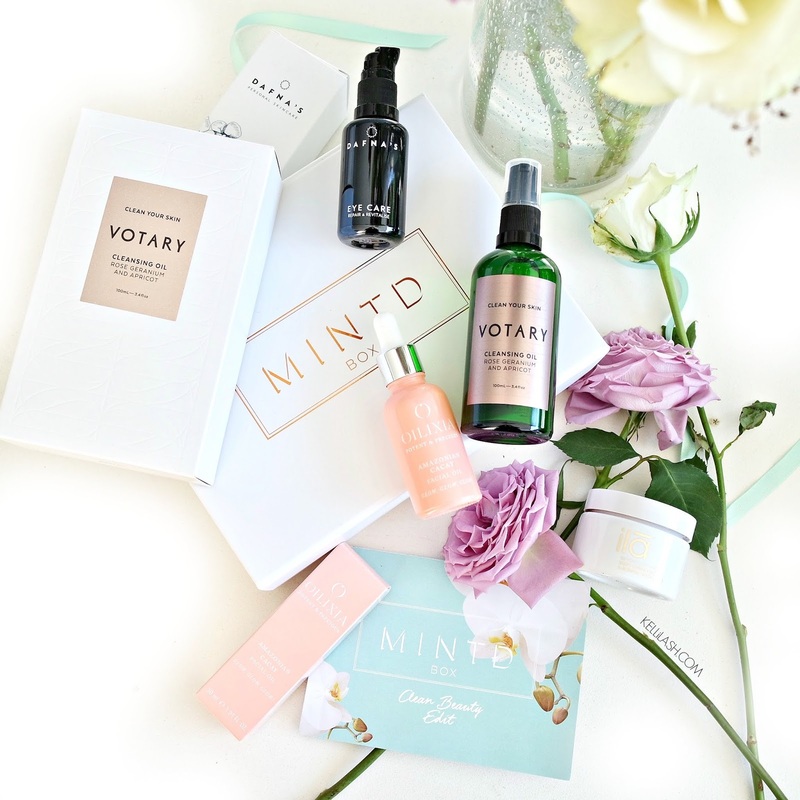 In fact, the Votary Jasmine and Rose Facial Oil has become essential to my skincare routine now thanks to a previous Mintd box introduction. 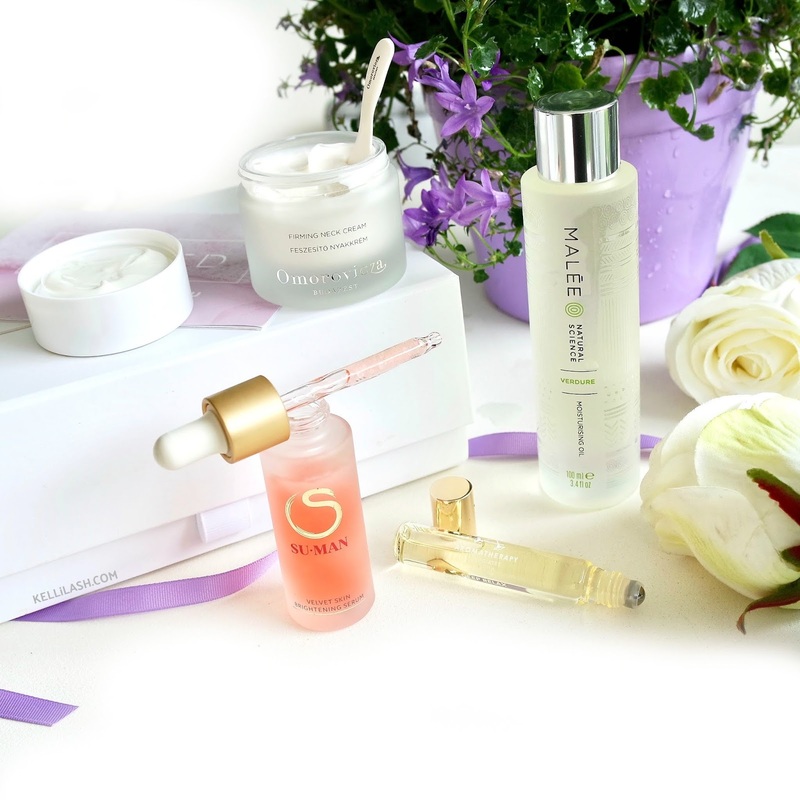 This brand is proof that clean beauty is anything but boring, in fact it's the ultimate in luxury cleansing! 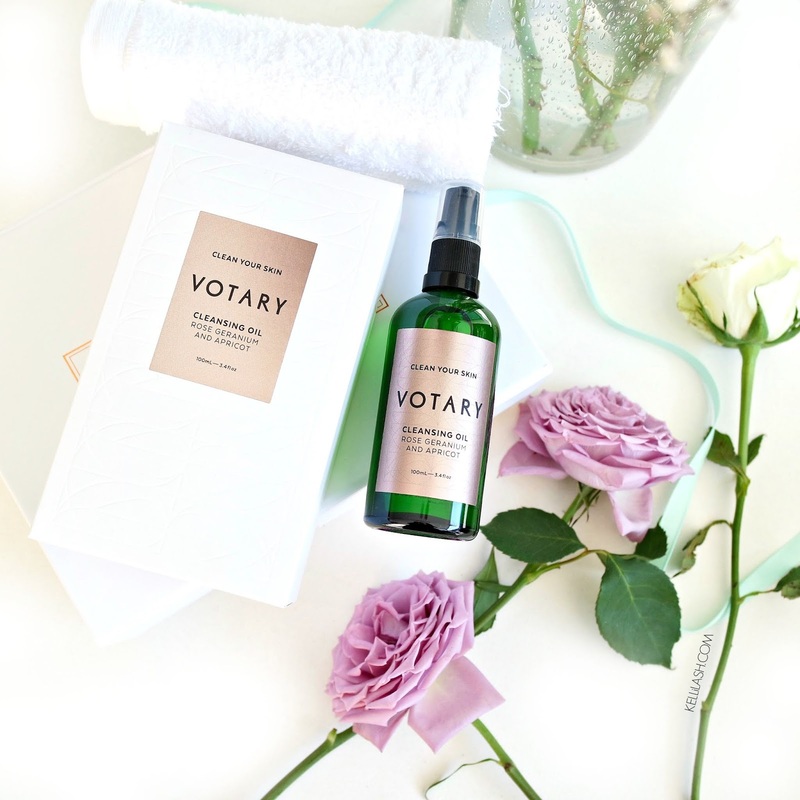 I know Votary is a more expensive range but for the amount of time the products last, it really is great value for money and in that respect makes them affordable. If you haven't tried Votary and love your oils, I suggest you get ordering right away because I guarantee you'll never look back. This gorgeous Facial Oil was inspired by the natural wonders of the Amazon Rainforest and features Cacay oil from Columbia which has 3x more retinol than Rosehip oil and more Vitamin E and F than Argan Oil, making this some potion! The Cacay oil is blended with Acai, Amazonian Lily to detox, Brazil nut to nourish and Buriti to promote skin cell renewal. 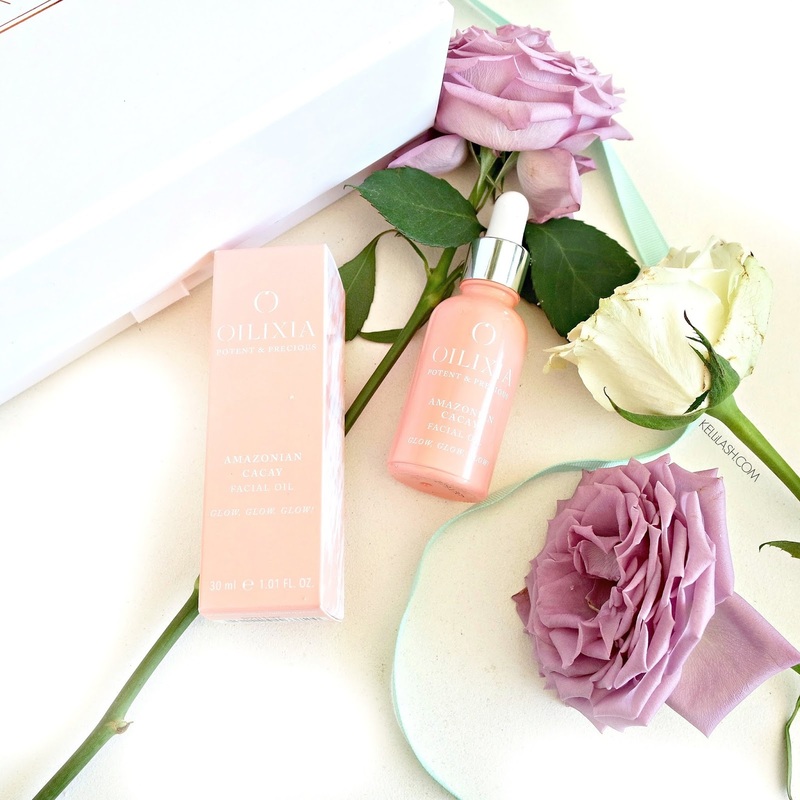 Oilixia are such a unique clean brand as their Gummy Cleanser is just amazing and unlike anything else out there (here). The gorgeous scent of this oil is nice and subtle and not too overpowering. Having used this a few times now I was pleasantly surprised at how lightweight this oil was as it really absorbed into my skin well, with no heavy feel so if you hate facial oils feeling greasy then this is the one for you! It leaves the skin more matte than shiny yet it feels soft and smooth without any residue whatsoever. For this reason, it is perfect to add into your make-up should you want to use it as a base or add in a few drops of oil into your foundation for a more dewy look, whilst treating your skin at the same time. I feel the more I use this oil, the more I shall see visible results so I shall strive to keep you posted on that, but this is a facial oil for glow, glow glow! 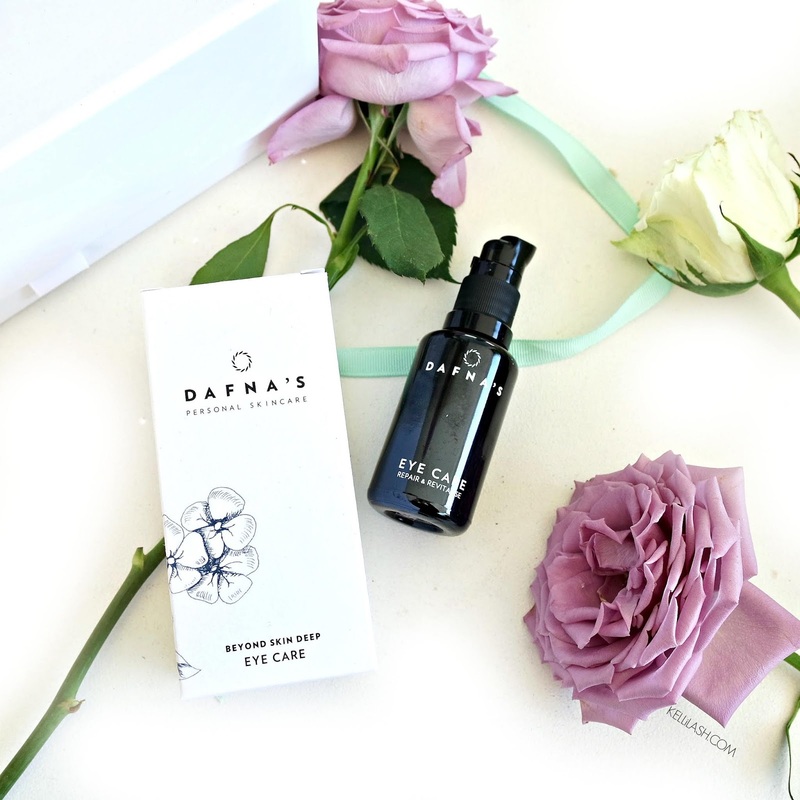 Dafna, aka the woman behind the brand, lives and works in Madrid and has always had a passion for going natural, being an aromatherpist, naturopathist and cosmetics formulator and has held courses and workshops in London, Tel Aviv and Madrid. 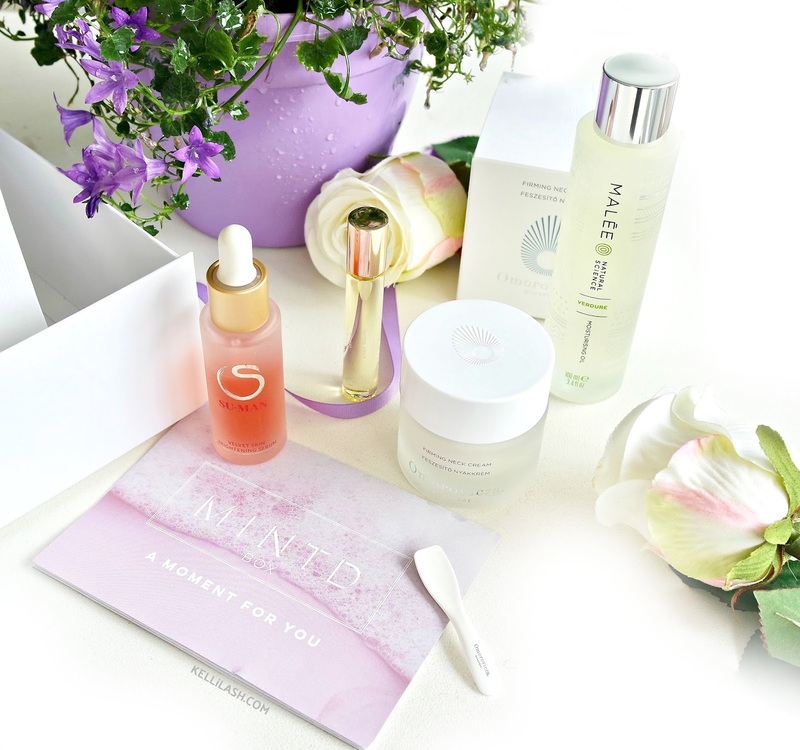 For the brand, each of their products is a feeling, a wellness and experience; an ethos that I love. All products in this line do not contain parabens, mineral oils, paraffin, Vaseline, petrolatum, silicones, SLG and other artificial ingredients. NO ingredients derived from animals, allergens, dyes, synthetic preservatives or synthetic fragrances. 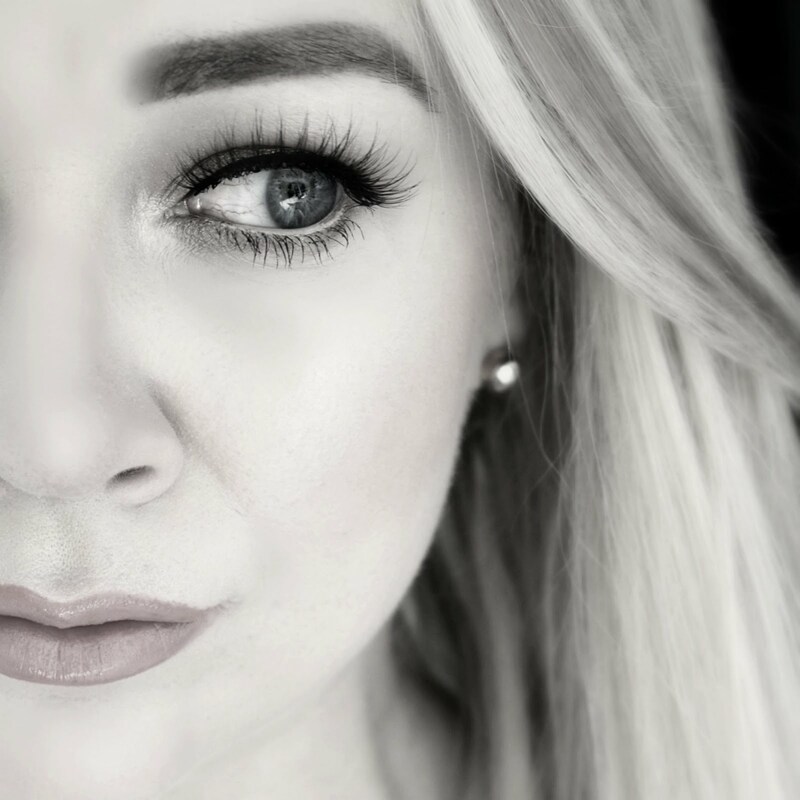 Having tried many skin care brands in my time, there are still many more that I am still yet to try of course and I get asked about eye products the most so trying to think of a great natural alternative really gets me stumped so I am so thrilled to be able to add a new recommendation to the list. This eye treatment is a gel-like serum packed with pure oils, Hyaluronic acid and Tense'Up TM pioneer biotechnology. It is enriched with Rosehip Oil and Calendula oil which is what makes it smell so nice and helps to reduce the look of fine lines and and puffiness. I will say, I was not expecting this to be as good as it is! It feels like a dream on the eyes and is the perfect 'evening comfort' and the perfect morning 'wake me up' all rolled into one bottle. It works so well to hydrate and comfort your eyes any time needed. I am thoroughly loving using this in my daily routine and shall keep you all up to date on the long term effects the more I use it. If you are looking for a lightweight product that shall help with hydration, first signs of ageing, fine lines, puffiness and is nasty free... then this is a perfect one to opt for. 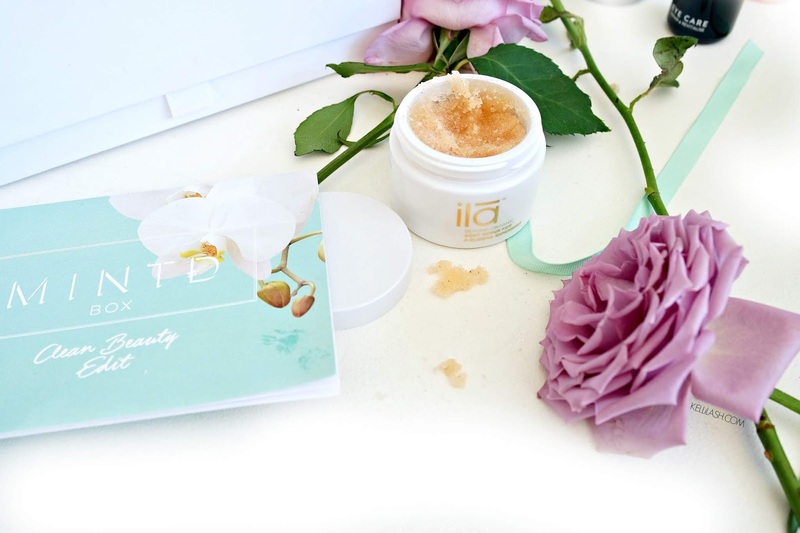 ILA SPA have created an ultimate in luxury body scrubs. The salt scrub uses; Himalayan Salt crystals and oils to exfoliate, Argan oil in balm form which rich in essential fatty acids and antioxidants, Rose Geranium which balances the mind and body, Rose Otto to nourish, Sandalwood & Patchouli to balance the mind and Jasmine & Rose to restore the nervous system. Who said that natural wasn't powerful?! That is some mighty blend right there. This is such a cute size that is very portable should you want to travel with one yet it shall still have your mind and body feeling amazing. This scrub leaves behind a gentle layer of oil that has you feeling hydrated and protected. The scent shall have all your senses feeling all happy as it is out of this world to breathe in. However dry your skin is or sensitive even, this shall contribute to helping to cure those issues as well as eczema and psoriasis. When I read that it also contributes to helping hormonal balances too I was sold (lol!) This is that type of product that you would not necessarily buy for yourself so this is a great little added gift and trial size to make you feel extra special. I also highly recommend their body balm as that is simply a dream in a jar! (here). This is your ready made 'clean' skincare routine set up right here. You could definitely use all three skincare items together in a simple everyday routine and see the results of a 'free from' regime - inside and out. I have to say the selection this month has really opened my own eyes to how natural brands really are incredible today and how far the clean beauty market has come. 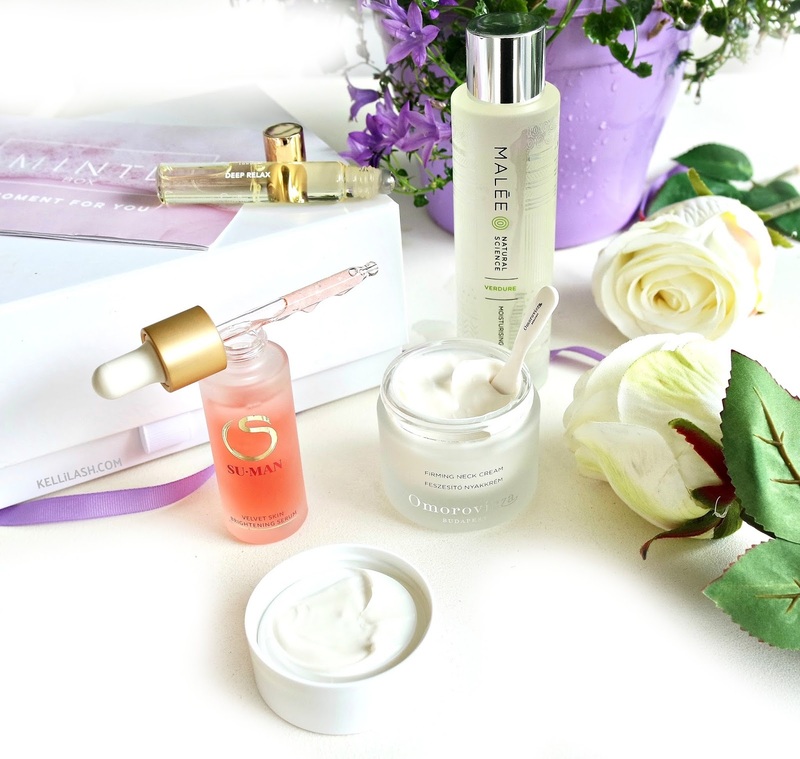 It will of course work differently for each and every one of us depending on what issues we have to work on but these products shall work to take great care of your skin without adding any nasties into your body. 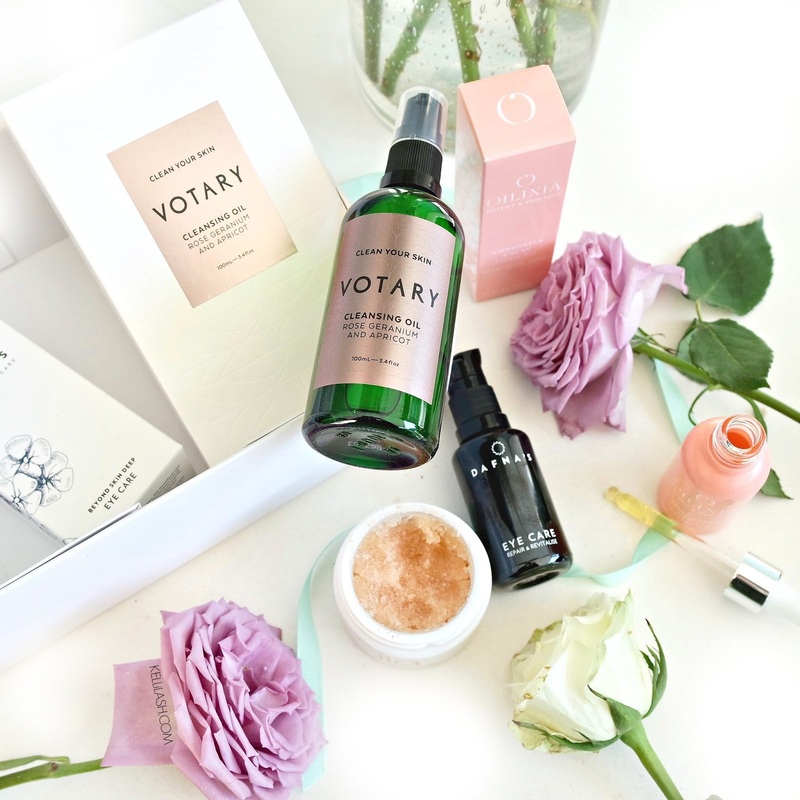 Once again, I truly have loved everything inside this month's box especially a few stars being the Votary London Cleansing Oil as like I said, it was just as lovely as I knew it would be and the beautiful Dafna Eye Cream being such a welcomed discovery and even better to see natural brands making such high end skincare that give visible results. RECAP! This box is worth over £153/€174 for which you only pay £70/€80 per month or bi-monthly giving you a massive £83/€95 saving!! (+ you get a FREE Omorovicza Elemental Emulsion if you sign up to a 3, 6 or 12 month plan and a FREE Omorovicza Lip Balm when you spend over £100 in the Gift store!). 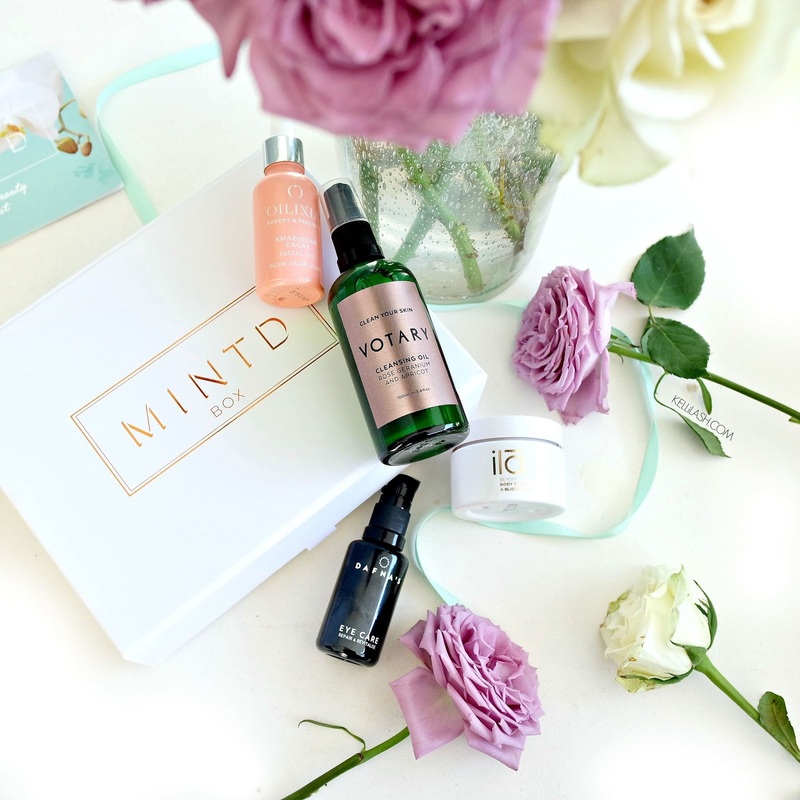 🌎Sign up to Mintd Box here and get free delivery in the UK but don't forget! 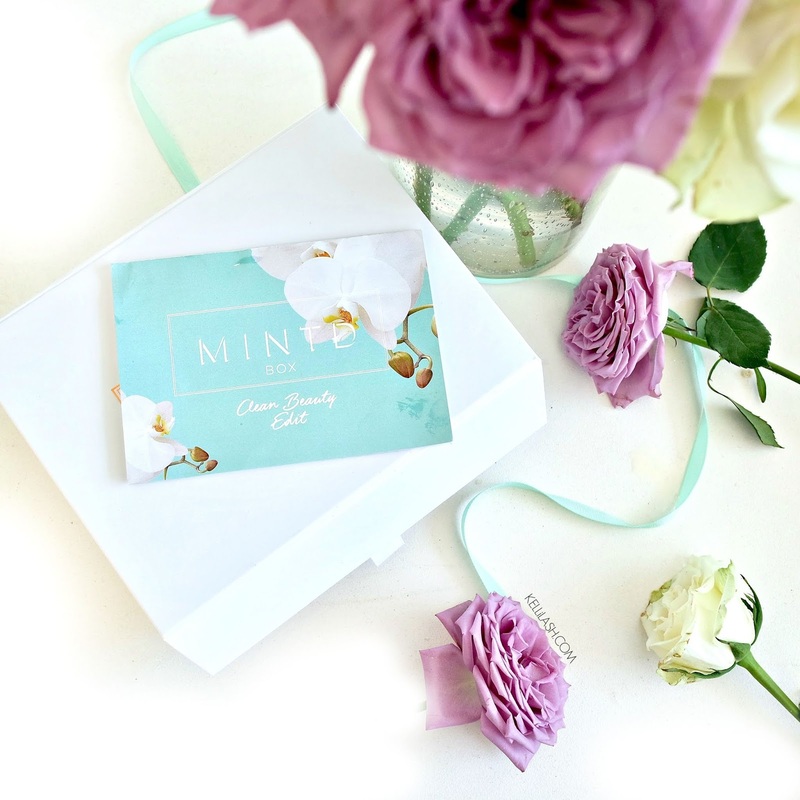 - Mintd ships to UK, US, W Europe, North America and Australia. Free Delivery For The UK for 3, 6 or 12 month plans. Designed by KelliLash. Powered by Blogger.